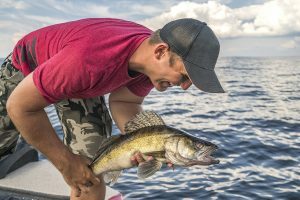 Saginaw Bay a few walleye were caught off the Hot Pond by those trolling Hot-n-Tots in five to seven feet. 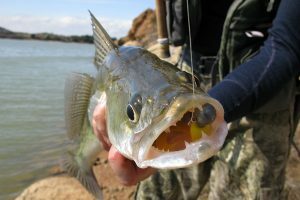 Perch fishing off Quanicassee was hit-or-miss around the weeds in eight to 10 feet. The ratio was one keeper to three throw backs. 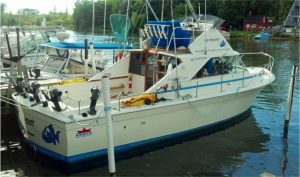 Some of the better fishing was inside the marina at Sebewaing. 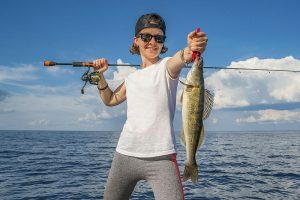 Shore anglers caught largemouth bass, pike and bluegills. Au Gres Area a few perch were caught straight out from the river and in 25 to 40 feet off Pointe Au Gres. There were rumors of better perch fishing in 18 to 25 feet off the Saganing Bar. 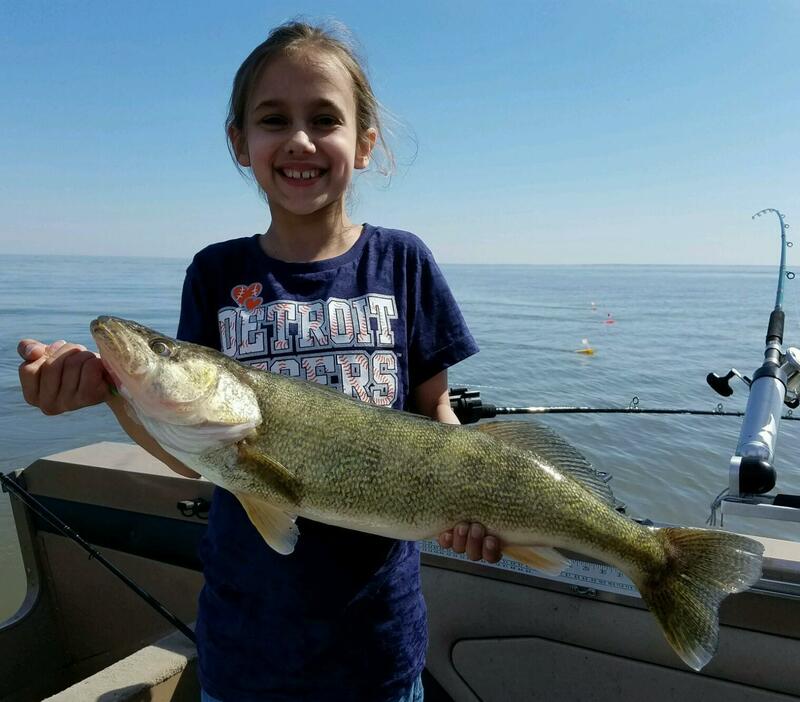 Oscoda fishing is slow as far as the salmon numbers and there are only a few making their way up into the river. Steelhead were still out in 20 to 50 feet. A lot of fish were marked but it seems they do not want to bite. This may be due to the weather patterns we are having. Lake trout moved in and were caught off the pier. 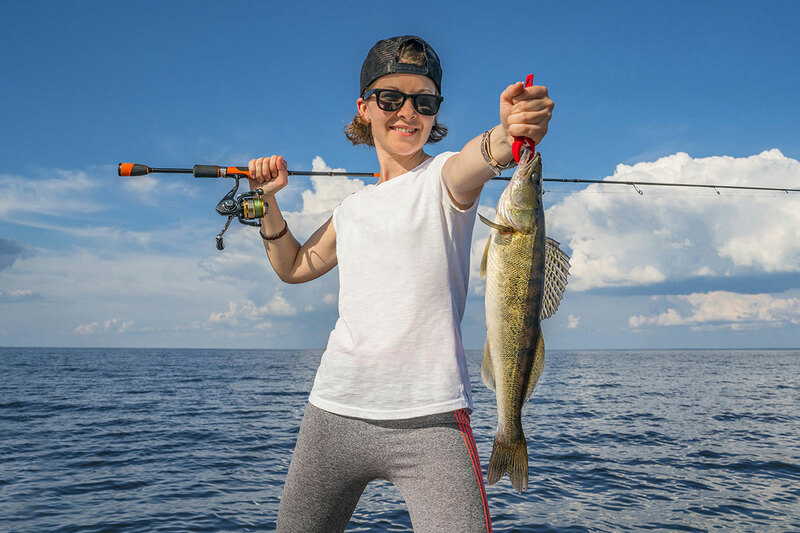 Walleye were caught off the pier by those using spoons and body baits in the early morning or late evening. Port Austin boat anglers were heading back out but fishing was slow along the outside of the Thumb. Steelhead and brown trout have not moved in close to shore yet. No sign of emerald shiners however they normally start coming in around the second week of October. That is when the perch and other predators follow. Decent smallmouth action off the breakwall. 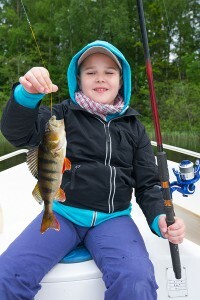 Tawas Area a few small perch were caught off Jerry’s Marina. Boats should be able to get back out on the big water now that the winds have died down. Tawas River those casting in the lower river caught a few Chinook and walleye. Weekly Fishing Tip: Is your outdoor first-aid kit ready to go? Don’t forget to regularly check your first-aid kit’s inventory and replenish as needed!